Welcome back to another installment of WHAT'S ON NETFLIX?, where we pick a film or series currently playing on Netflix and review it for the fans. This week's selection is the action/adventure movie....LEGENDARY. 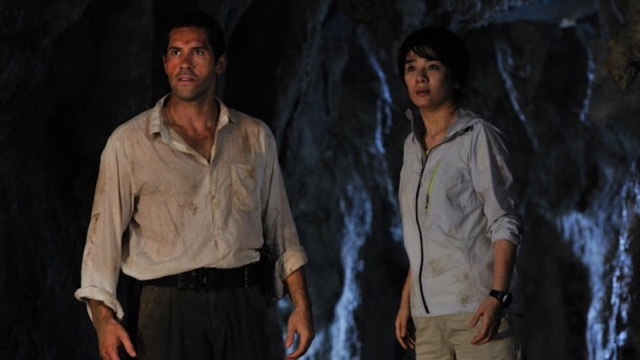 I was so happy to find out that Netflix had added the movie Legendary (aka Legendary: Tomb of the Dragon) to its current rotation and knew I had to post a review. I first saw Legendary back in 2014 on the Syfy Channel. Anyone who knows me long enough, finds out that I am addicted to the ‘creature feature’ movies that air on this channel. 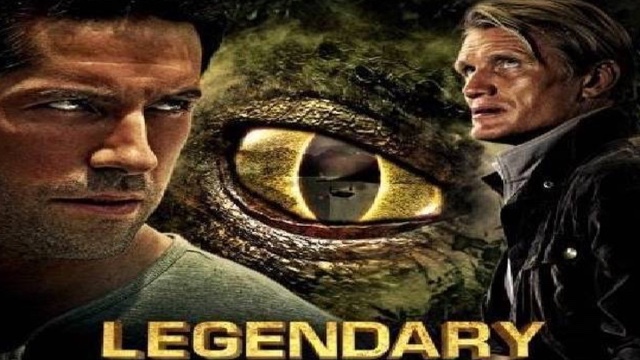 Legendary is a ‘creature feature’ movie and, as an added bonus, it boasts, pardon the pun, the legendary 80’s action star, Dolph Lundgren as one of the main actors in the movie. It's also the first movie I ever saw British action star Scott Adkins in and I have been following his career ever since. Though Adkins and Lundgren are known for being skilled martial arts action stars, especially Adkins, there are no fight scenes of this nature in Legendary. 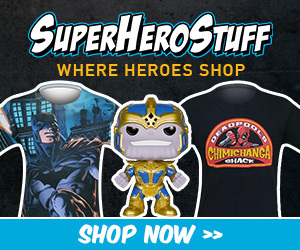 This is partly due to the fact that Adkins was in the process of recovering from a knee injury that required him to take a break from making martial arts heavy action films, and also to do with Legendary being a different type of action movie all together. What Legendary does give the audience is a movie full of adventure and smartly done characters in the vein of the Indiana Jones movies. Only instead of looking for artifacts, the scientists here are on the hunt for creatures thought long extinct or even mythical. Dr. Travis Preston, (Scott Adkins) is a Cryptozoologist who has led several unsuccessful expeditions to prove the existence of various creatures thought to either be extinct or made of pure myth. On one such mission to track down a prehistoric bear in the woods of Russia, Travis and his team are accompanied by a professional mercenary/hunter named Jim Harker (Dolph Lundgren). The massive bear they are searching for turns out to be all too real; all fourteen feet, three thousand pounds of it. Harker and Preston immediately clash over how to deal with the rampaging beast that Preston wants to capture and study. Harker wants to add it to his trophy collection. All of which leads to the bear killing a young field intern before getting away and Dr. Preston finding himself being sued by both Harker and the young man’s family. These circumstances seem pretty career ending for him until a lawyer named Doug McConnel, (James Lance) arrives at Preston’s office to show him footage of a large lizard-like creature terrorizing a hydro plant in China. McConnel says he represents a wealthy client that admires Dr. Preston’s work and wants him to lead a fully funded expedition to China to capture and study the creature. As soon as Travis sees the footage he is ready to assemble his team made up of Marine Biologist Katie Langley (Lydia Leonard) and ‘whiz kid’ technician Brandon Hua (Nathan Lee). Along the way, they join up with McConnel and his friend Bai Xi (Yang Caiyu). As they begin searching for the creature, Travis encounters the beautiful Dr. Lan Zeng (Li Huang), who oversees the hydro facility being constructed. He also finds his old foe, Harker, who has been hired to protect the workers from being killed. 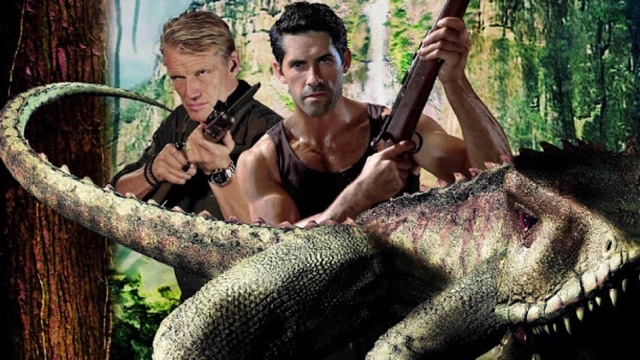 Once Harker is convinced that the giant lizard like creature is real, Travis and his team are in race to capture the rare reptile before Harker slaughters it. Legendary, which is written by Andy Briggs and directed by Eric Styles, is a Saturday afternoon matinee type adventure movie. It’s light on the violence and it doesn’t hit you over the head too hard with its message about needing to preserve nature and not just go around killing every creature we don’t understand. The cast is fun to watch. 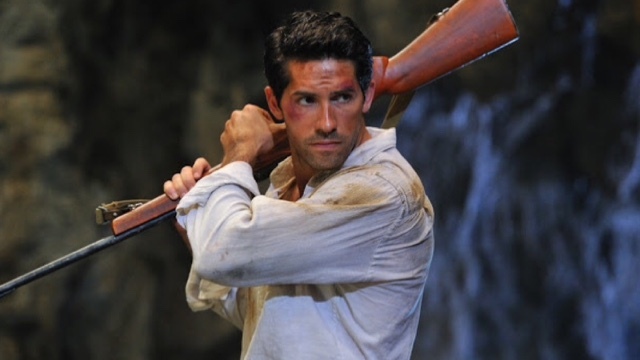 Scott Adkins gets the chance to show that he is not only a skilled martial artist, but that he has real acting skills as well. His character of Travis Preston is the typical idealistic good guy with smarts and charm. 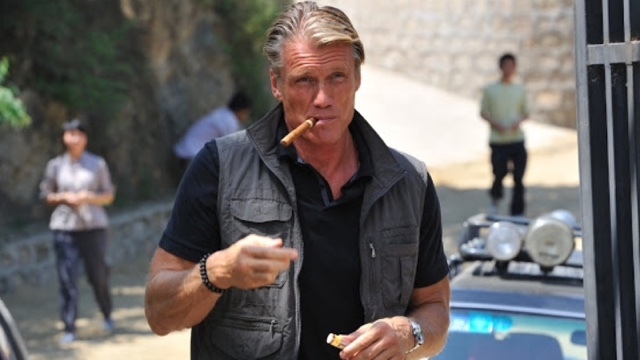 Dolph Lundgren is perfect in the role of Harker as a larger than life and intimidating bad guy with his own brand of charm. Adkins and Lungren, who have worked together before, have a solid on-screen chemistry that makes the dynamics of their characters work well in the movie. The script is filled with snappy dialog that just draws the line at being cheesy. 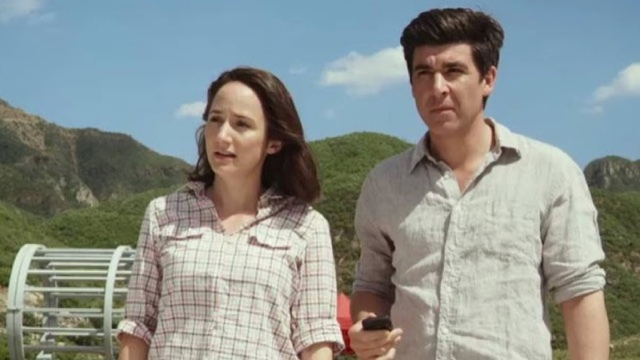 James Lance is wonderful as Doug McConnel and keeps his character fresh and funny without falling into the ‘comic relief’ trap. All of this isn’t to say that Legendary is perfect. 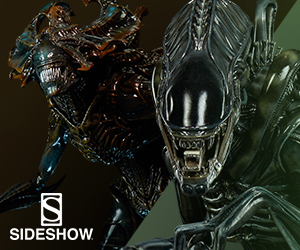 The CGI creature effects are pretty par for the course in a Syfy Channel movie. Some of the minor characters are stereotypical, particularly Harker’s henchmen. The romantic chemistry between Adkins and actress Yang Caiyu never quite hits the right note even with the requisite witty banter thrown in, but it’s still strong enough to convey that they are having an attraction to each other. It also means Scott Adkins plays a character that smiles more than in most of his movies. That’s always a good thing in my movie watching opinion. All in all, Legendary is a fun movie to watch, especially if you like your creature feature movies a little less gory. The only thing about this movie that truly disappointed me is that it never generated a sequel. I would like to see what Dr. Travis Preston and his team encountered next. Labels: creature feature, Dolph Lungren, Legendary, Movie Reviews, Netflix, Sci-Fi, Scott Adkins, What's On Netflix?